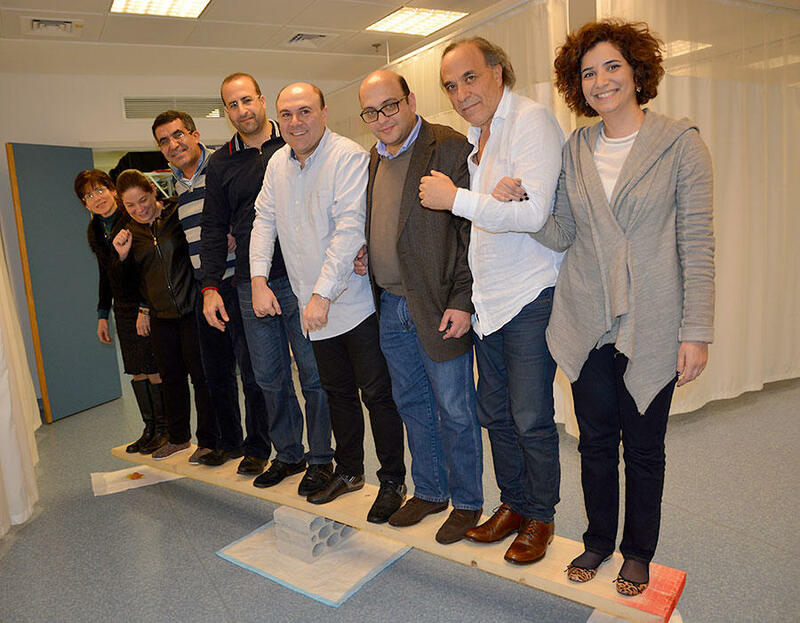 We are proud to announce that we have launched the first clinical simulation diploma in the Middle East, with the Gilbert and Rose-Marie Chagoury School of Medicine. This is a fully recognized academic certification in simulation-based education. 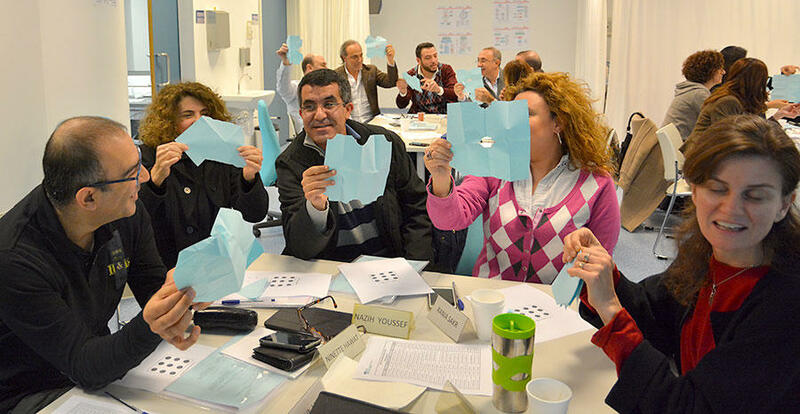 This month, twenty-two healthcare providers from LAU’s schools of medicine, pharmacy and nursing as well as from other Lebanese schools of medicine participated in the first module. It was coordinated by Dr. Ara Tekian, Professor of Medical Education and Associate Dean, Office of International Education at the University of Illinois at Chicago College of Medicine. This module provided participants with the fundamental knowledge on simulation as an educational method. Many new educational strategies such as teaching with simulation games were used. Participants with Dr. Ara Tekian and former dean of LAU’s medical school, Dr. Youssef Comair (left). The “tearing a paper” exercise demonstrates the importance of effective communication and listening skills on thinking. The “building a bridge” exercise demonstrates team dynamics through involvement in a construction project. The second module (March) will be coordinated by Dr. Ross Scalese, Associate Professor of Medicine at the University of Miami Miller School of Medicine and Assistant Director of Research and Technology at the Gordon Center for Research in Medical Education. This module introduces participants to the practical strategies related to planning, designing and delivering simulation-based learning in their own institutions. The third module (June) will focus on the use of simulation-based education as an assessment tool. It will be coordinated by Dr. Jacques Boulet, Vice President of Research and Data Resources of the Educational Commission for Foreign Medical Graduates.